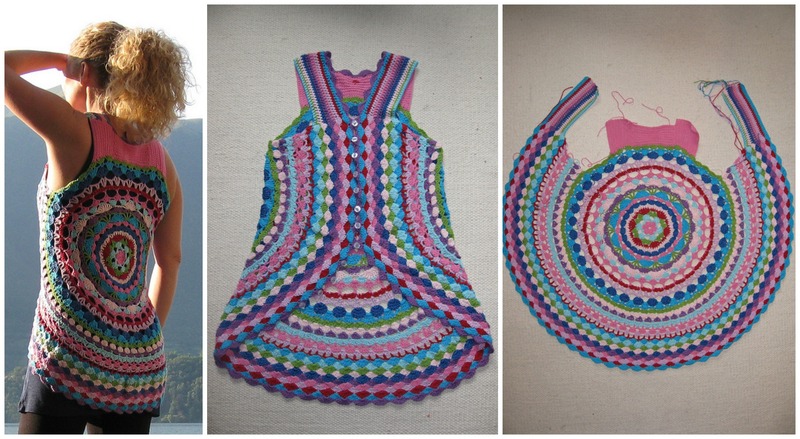 Here we have very beautiful vest for sunny days and of course with free pattern by Lene Unmack Larsen. Thanks to author for awesome design and clearly explained pattern which will help you crochet with any problems. You can choose any colors as you like most. Imagine how will make this flower vest your look at any situation. You can wear it at home and if you decide to go for a walk or for shopping. Start crocheting now if you have some free time, because with this vest you can also make very special gift for any woman. Good luck and we hope you will enjoy, because we trying our best for you.